A gummy smile can be fixed by a procedure called crown lengthening. 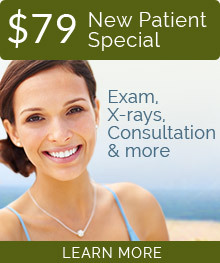 Our doctors use special lasers to gently remove the excess gum tissue to expose more of the natural tooth. As needed, he also sculpts the bone so that a sufficient amount of the tooth is exposed. As the laser seals the end of the blood vessels while it operates, there are no open cuts and the whole procedure can be done without the use of a scalpel or suturing. This means there is also little to no post-treatment discomfort. The same crown-lengthening procedure can be used to even out a gum line by treating single teeth that are irregular in the gum line. The Picassa is a very precise and gentle laser. A laser produces a very narrow, intense beam of light which may or may not be visible. Lasers are set to specific frequencies of light waves; each frequency allows the laser to penetrate at a different depth or density. As a result they are very focused and leave little to no impact on the surrounding tissues. Soft-tissue laser. This is used to treat soft tissues such as gum tissue. 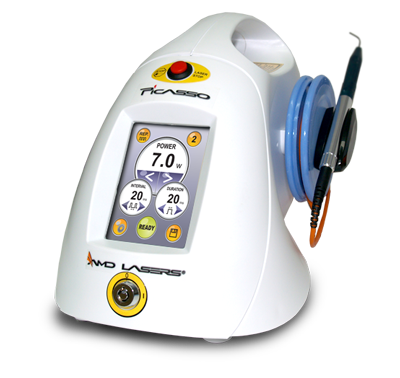 Hard and soft tissue laser. The hard tissue laser is used to gently prepare cavities for filings as well as to sculpt the bone in crown lengthening. Cold Laser. We use a cold laser to reduce pain and inflammation, which can result in significantly faster pain relief. It also encourages tissue repair and rebuilding and can remarkably speed up the healing process.